Are you interested in using the power of music to support comfort or healing? 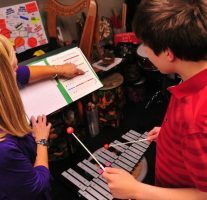 Music therapy equivalency programs offered at many schools allows you to gain competencies for becoming a certified music therapist. 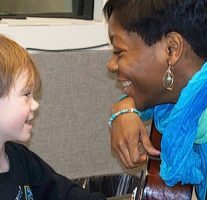 Providing music therapy for children with autism can be a rewarding career. 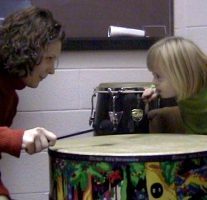 it's a way to reach in to the essence of a child and engage them in music together. 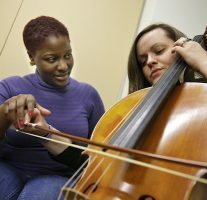 Does a Music Therapy Degree Make Sense for You? 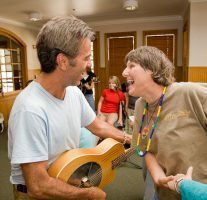 The field of music therapy has grown significantly as a result of its positive impact with depression, substance abuse, and many other life challenges. Therapeutic Music: Is This Your Calling? Music used to facilitate healing is an aspect of many cultures and traditions. 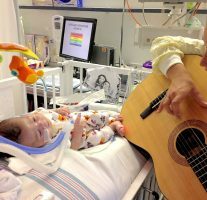 Since the 70's, therapeutic music, typically played at the bedside, has become a growing phenomenon embraced by many U.S. hospitals, hospices, skilled nursing facilities, birthing centers, and more. 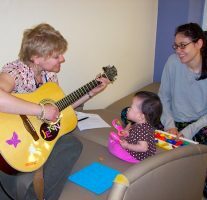 Music therapy is the use of music by a trained and qualified music therapist to achieve non-music goals. 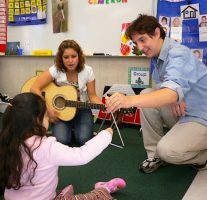 It is a recognized health profession in which music is used to address physical, emotional, cognitive, and social needs of clients as assessed by a degreed- and board-certified professional.